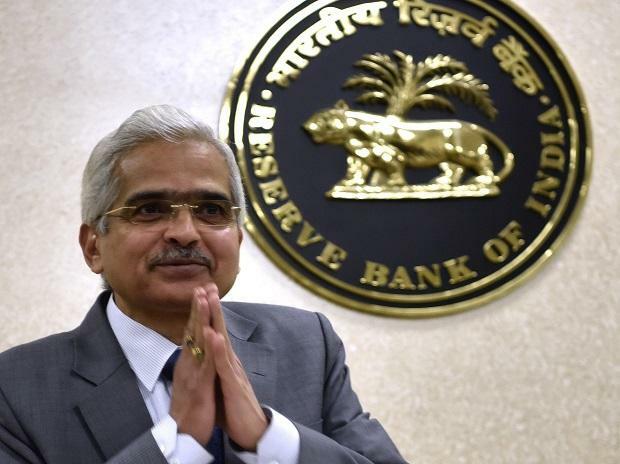 Reserve Bank of India (RBI) Governor Shaktikanta Das will meet bank chiefs on Thursday to impress upon the need to improve transmission within the confines of it being a business decision. However, certain indicators suggest that bankers won’t be wrong in disagreeing with Das on the all-important rates issue. So far, only State Bank of India (SBI) has reduced its home loan rates (up to Rs 30 lakh) by only five basis points (bps) after the policy rate cut of 25 bps on February 7. 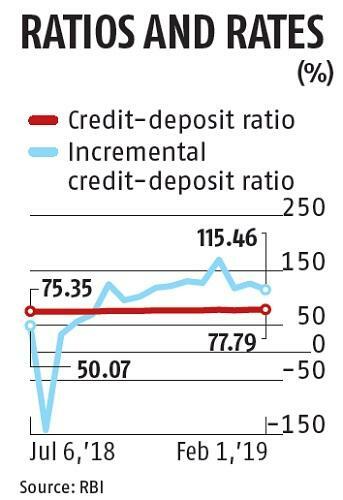 High credit deposit (CD) ratio, with incremental ratio over 100 (indicating credit disbursement is more than deposit mobilisation) leaves banks with no room to cut deposit rate. They cannot cut lending rates without cutting deposit rates. Even when deposit rates are pared, because of their fixed nature, the cost of deposit doesn’t come down readily. Contrary to that, the lending rate cut immediately translates into hit on profitability. Pallab Mahapatra, managing director and chief executive officer of Central Bank of India, said his bank’s marginal cost-based lending rate (MCLR) for one year and deposit rates are already lower than many large banks. For reducing loan rates further, the bank will have to cut deposit rates further, which would make the bank vulnerable to poaching for deposits from competing banks. And this, therefore, makes transmission a challenge. One reason why the banking system is also increasingly getting vulnerable to rates is because the low cost current and savings account deposits (CASA) are running down as a share, whereas costly bulk deposits are increasing because of liquidity tightness in the banking system. The system liquidity was running a deficit of more than Rs 1 trillion as on Tuesday, having improved from Rs 1.13 trillion on February 18. This is despite RBI’s bond purchases from the secondary market reaching about Rs 2.7 trillion. The liquidity deficit will only increase with tax-related outflow from companies in the coming days. “Liquidity is leaking from other channels also, for example, high currency in circulation (CIC) in an election year,” said a senior economist. Latest data shows currency in circulation, as on February 15, was at Rs 21.06 trillion, compared with pre-demonetisation level of Rs 17.97 trillion. The growth in CIC on a year-on year basis was 18.4 per cent, much higher than the normal 13-14 per cent even in busy periods. Clearly, the RBI’s record open market operations (OMO) was not enough when supply of bonds remained elevated, and while not much of dollars are flowing into the country.